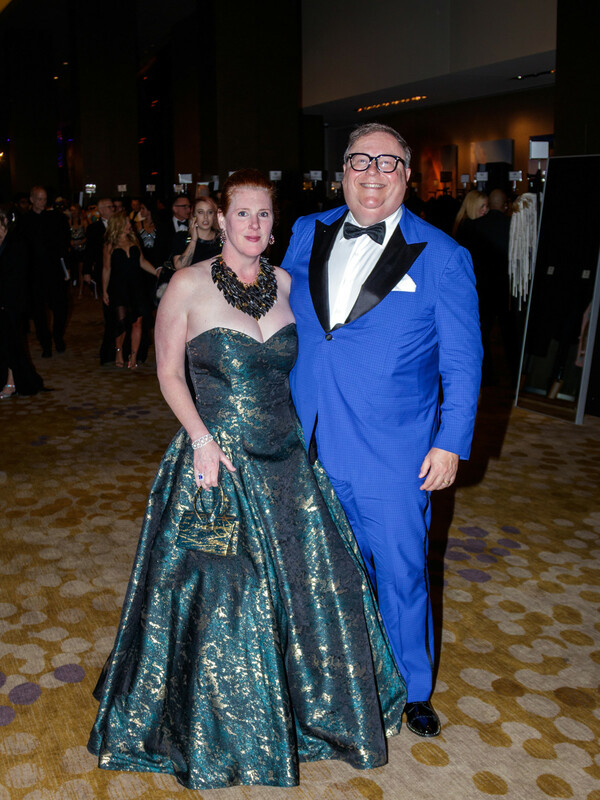 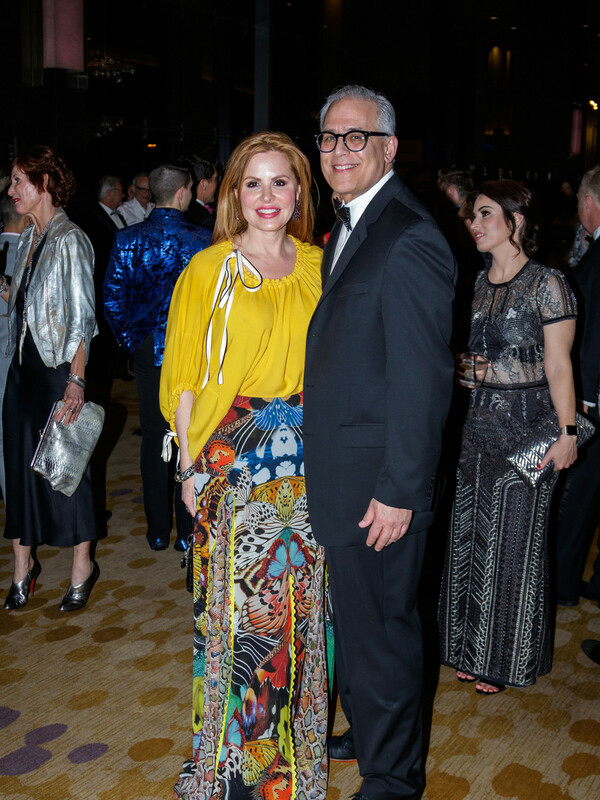 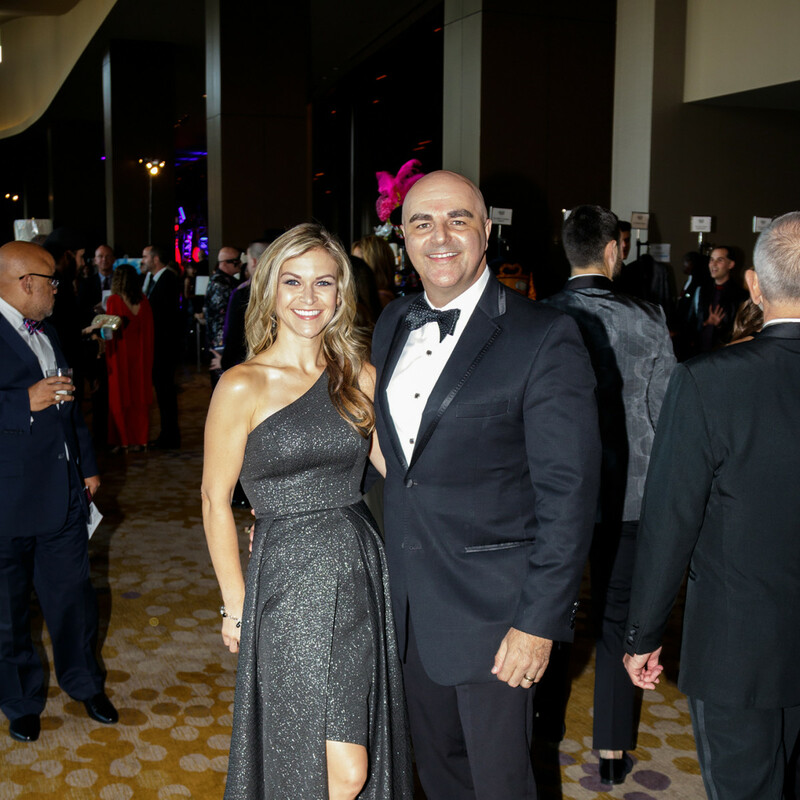 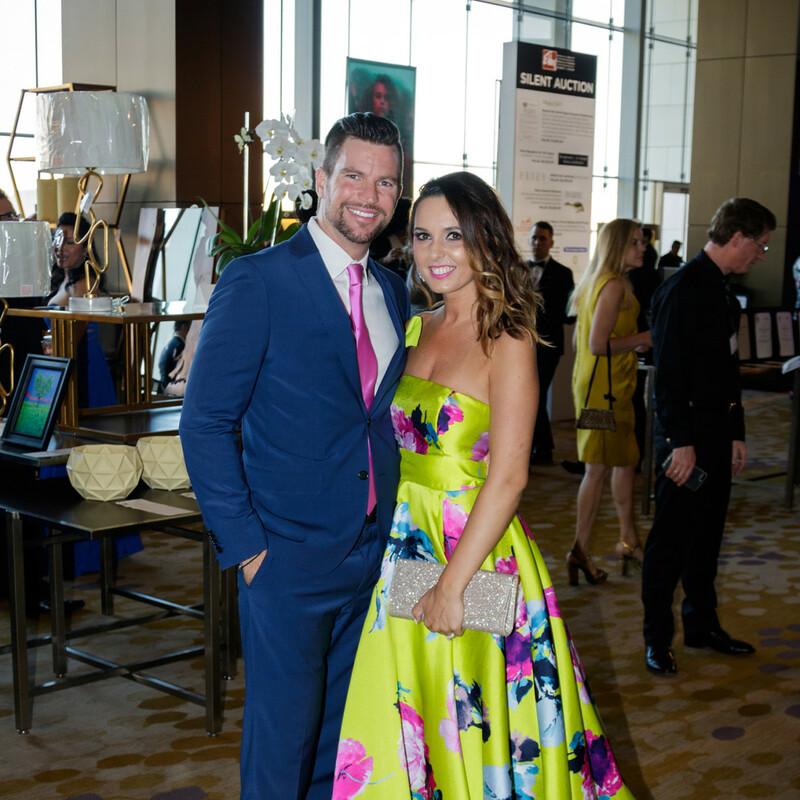 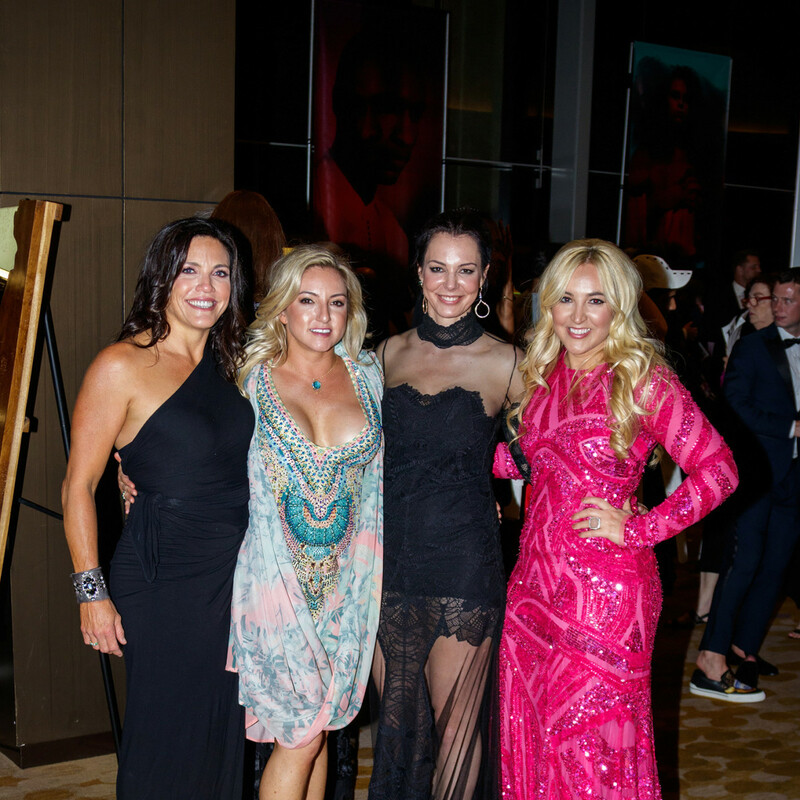 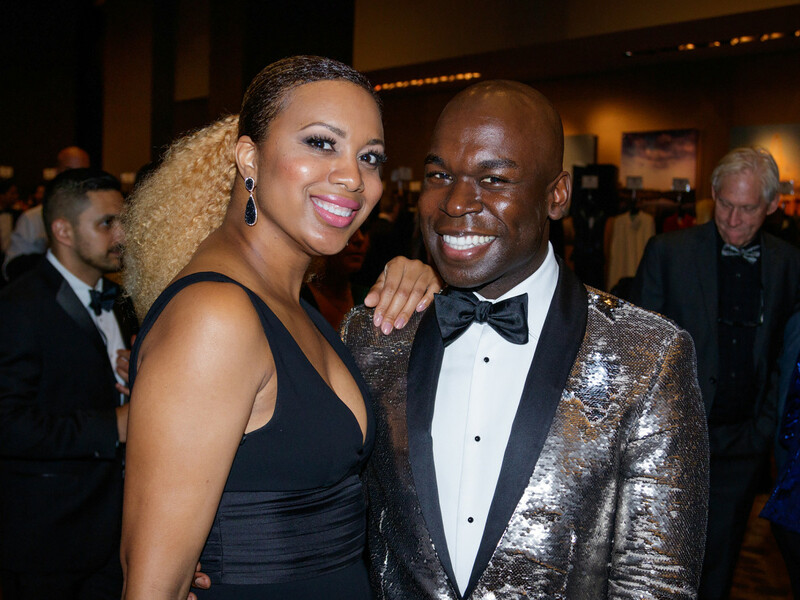 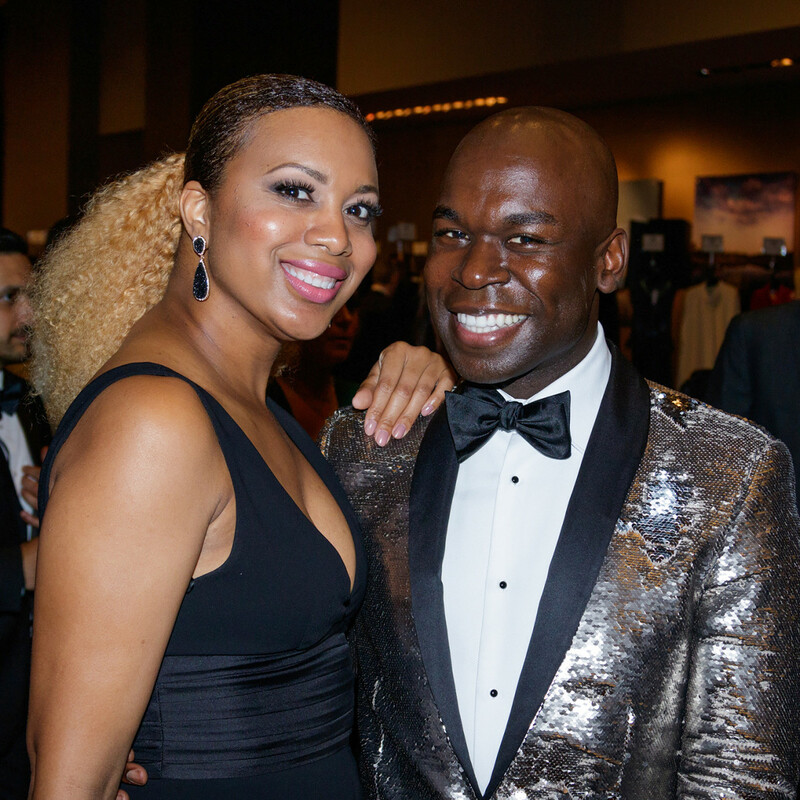 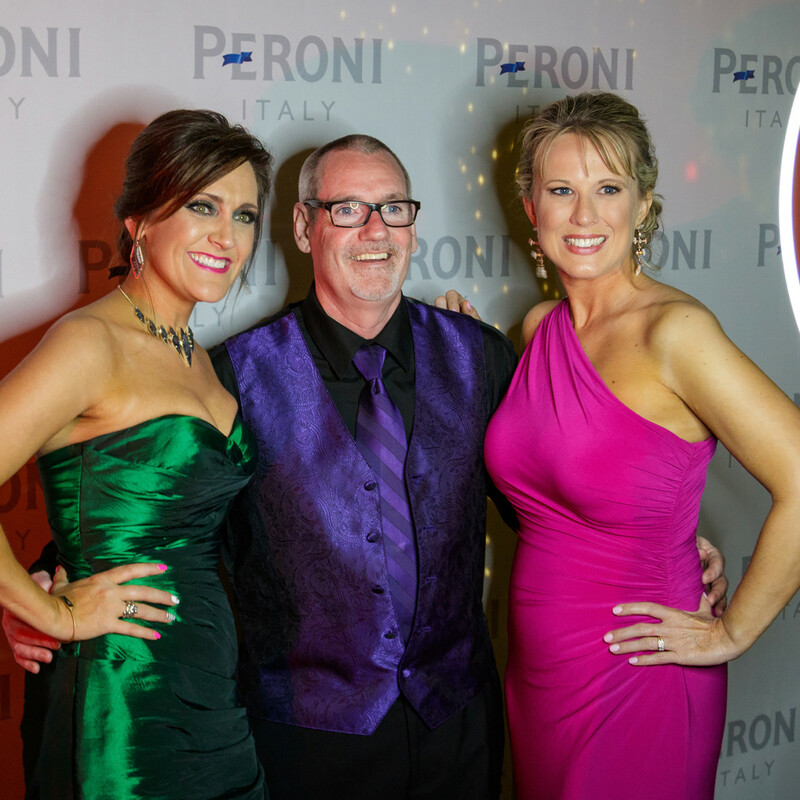 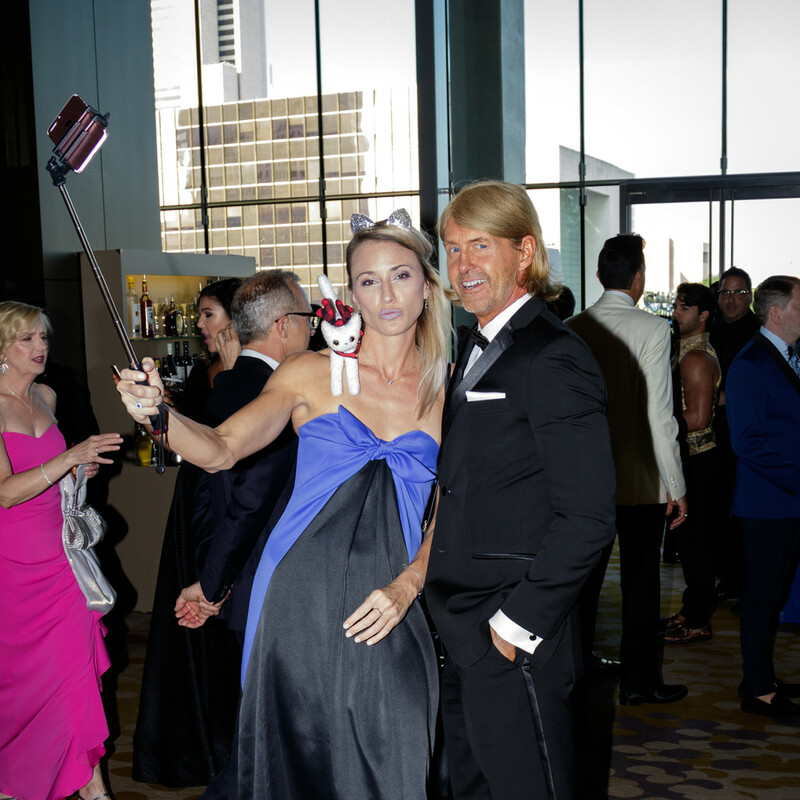 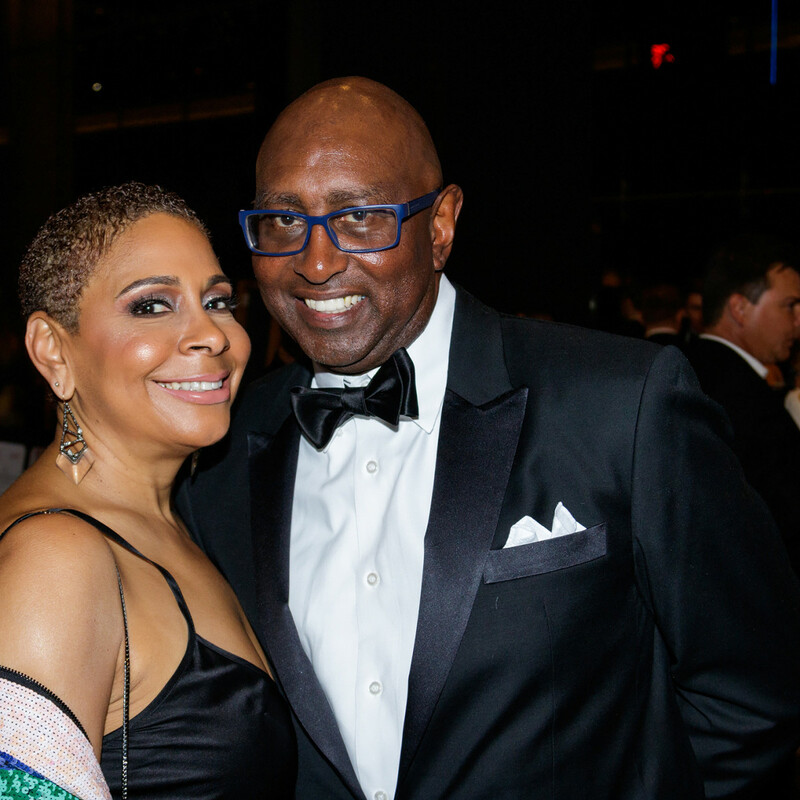 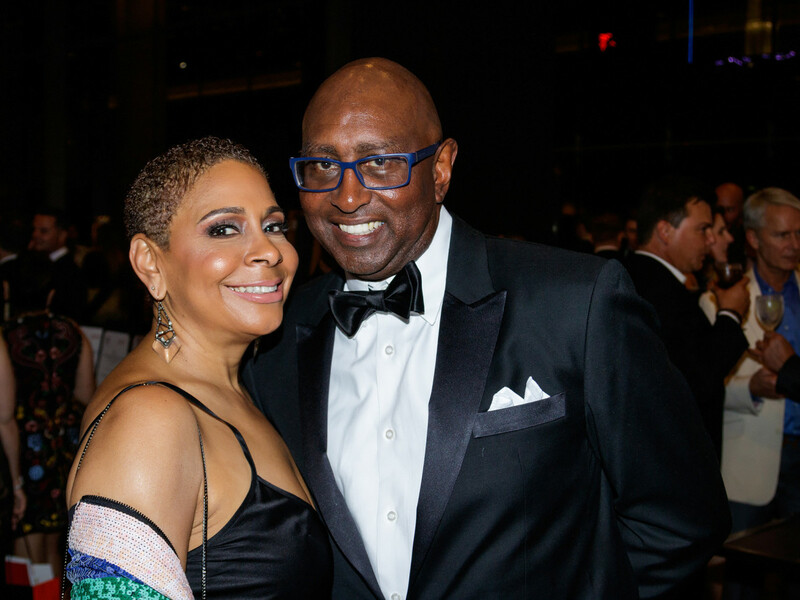 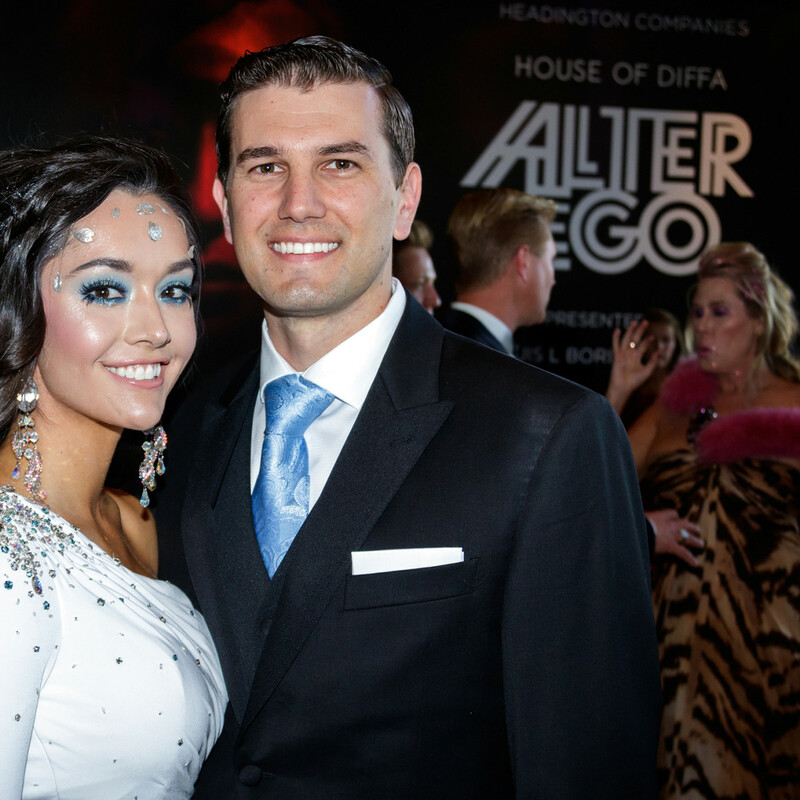 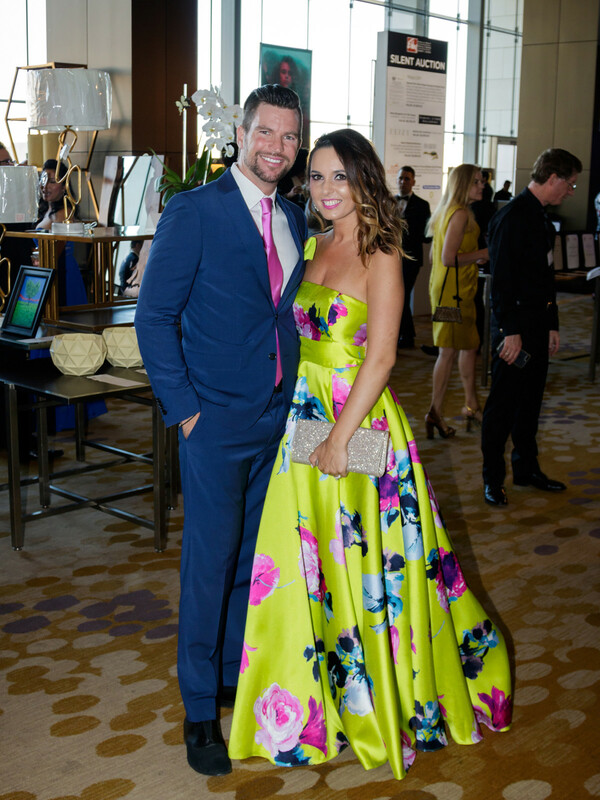 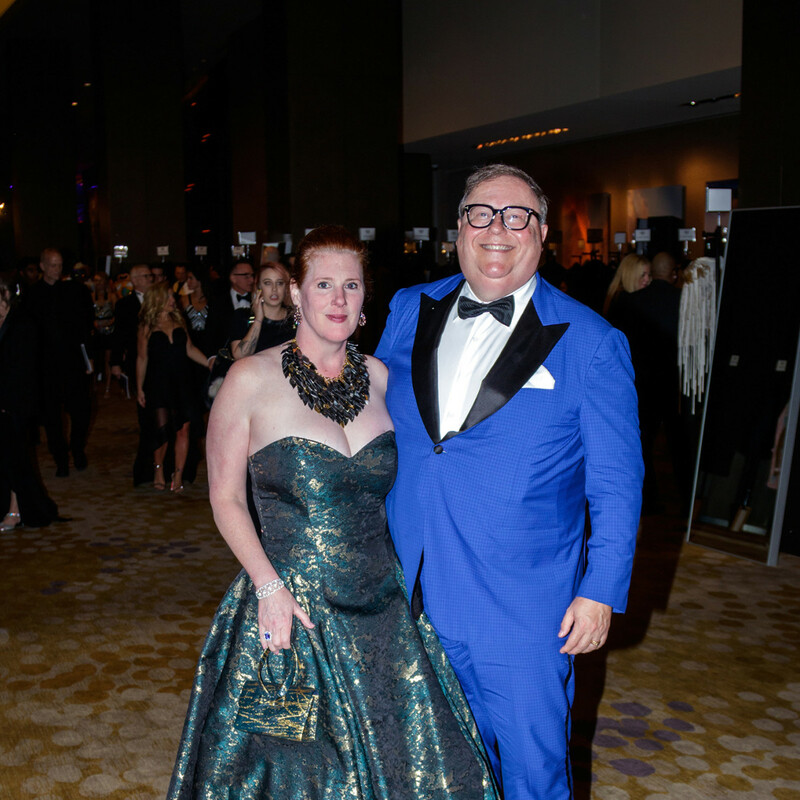 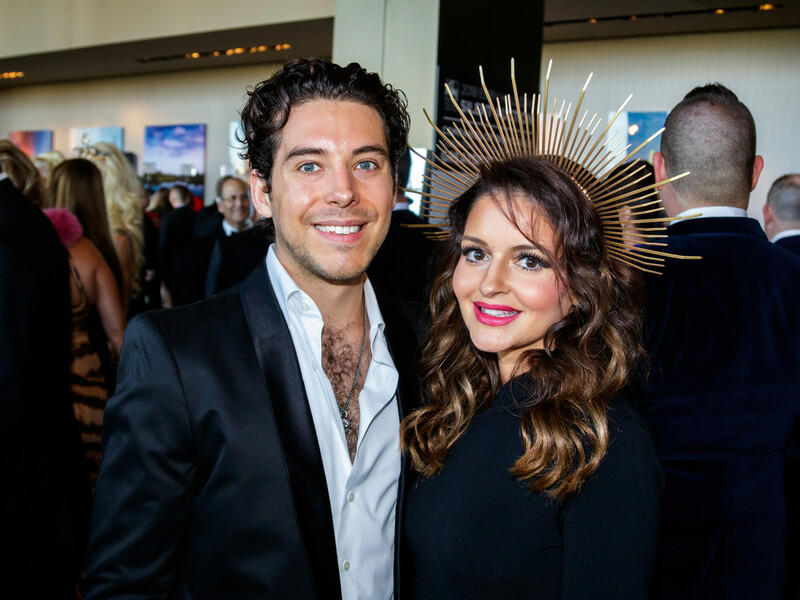 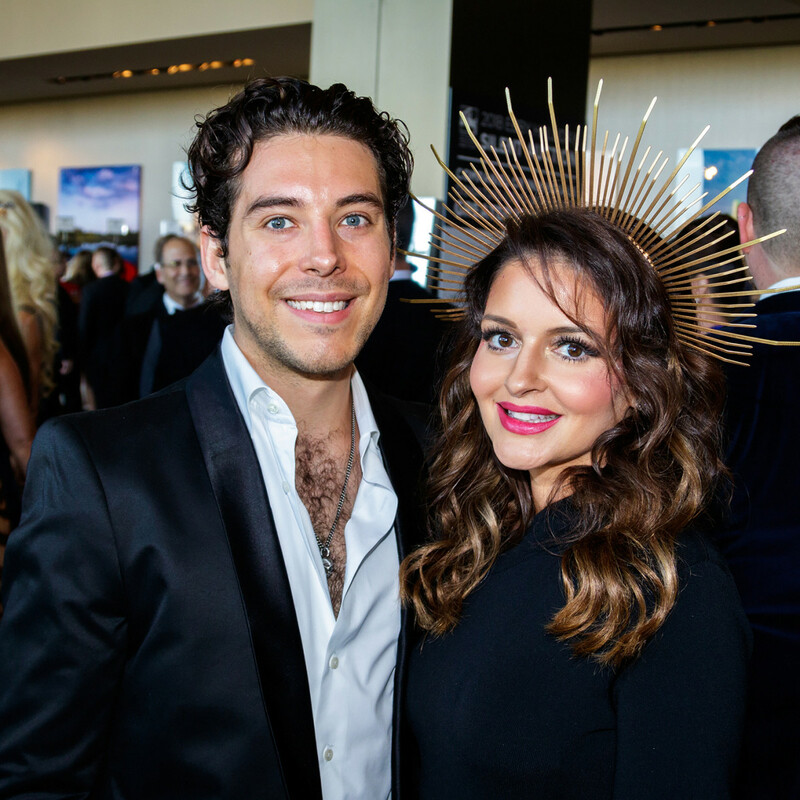 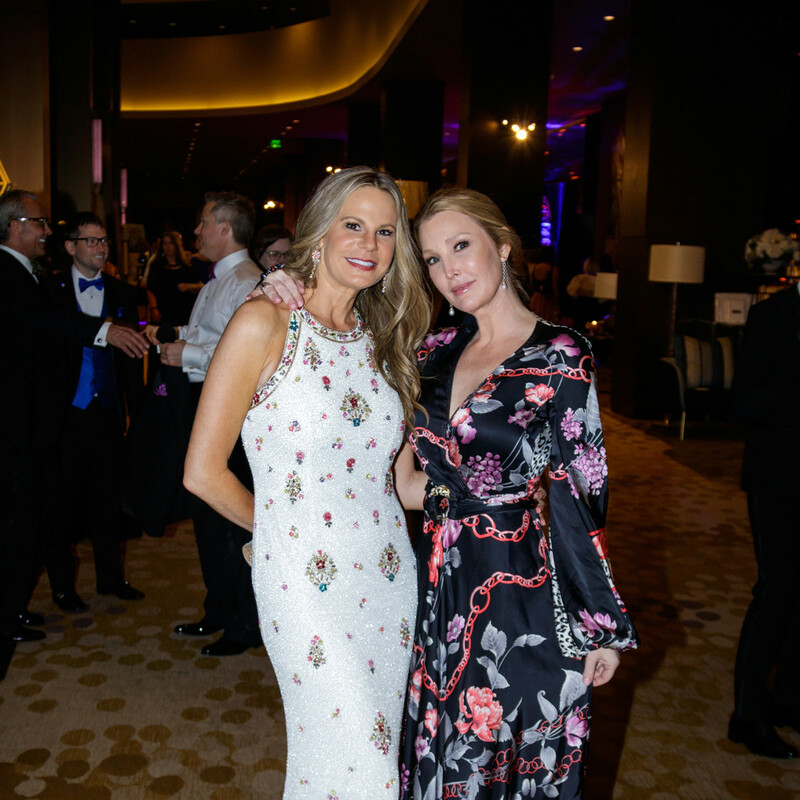 Among Dallas charitable galas, there is none quite like House of DIFFA. 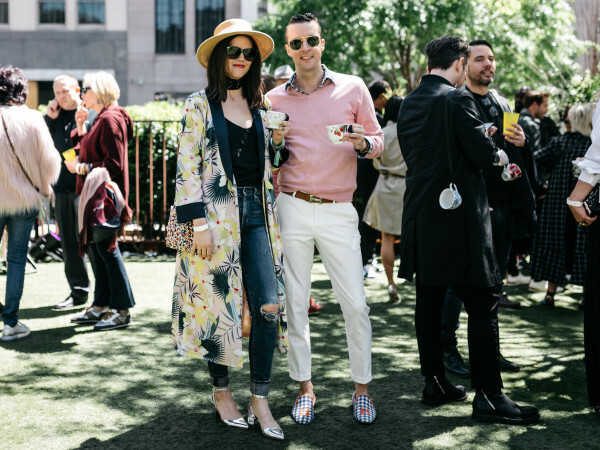 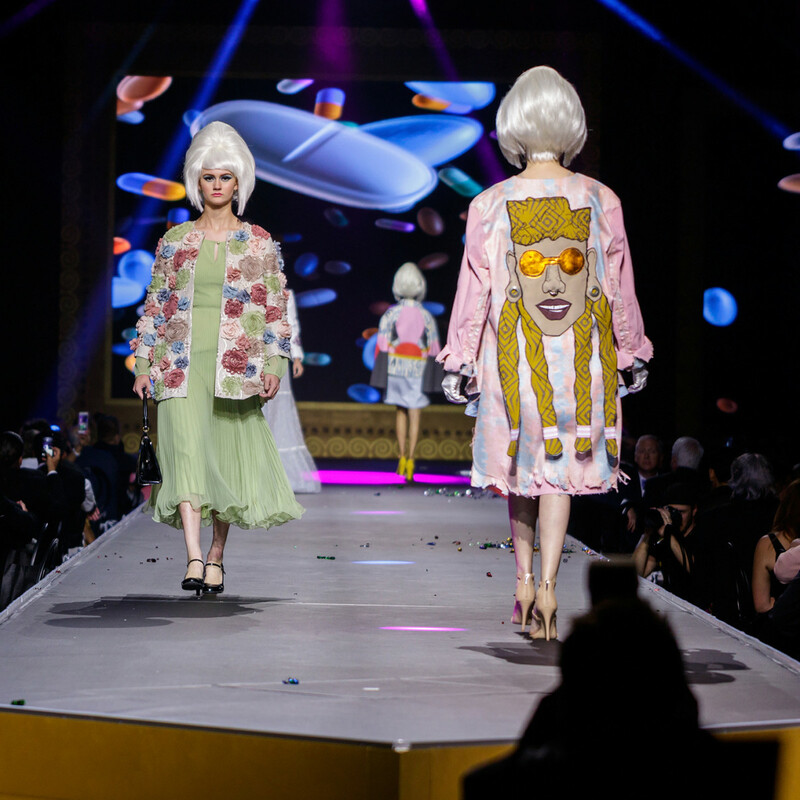 On paper, it appears to follow the formula — cocktail reception, silent auction, seated dinner, live auction — but there’s nothing formulaic about the fashion-fueled spectacle. 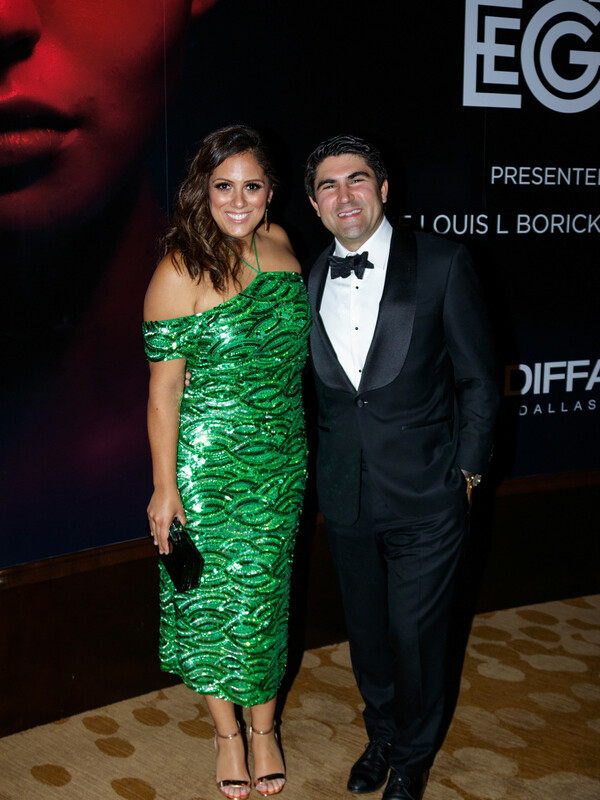 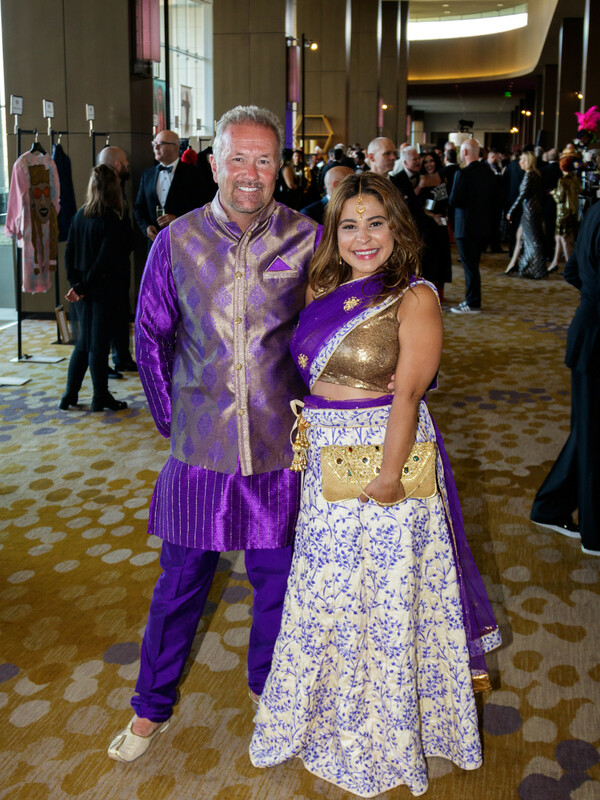 And so it went on May 12, when DIFFA Dallas devotees — including Cary and Mark Deuber, Brooke Hortenstine, Krystal and Tommy DeAlano, Cynthia Smoot, Jane McGarry, Sunie Solomon, Ceron, Anne and Steve Stodghill, and LeeAnne Locken and Rich Emberlin — descended on the Omni Dallas Hotel downtown for this year’s affair, themed Alter Ego. 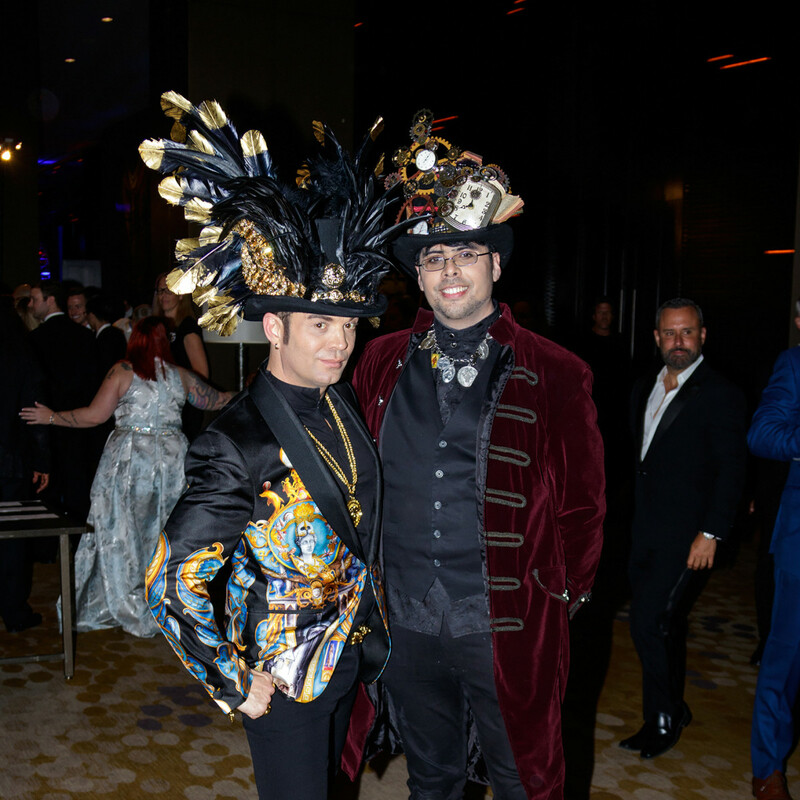 As per usual, many arrived in costume, although no one could have predicted how, exactly, the partygoers would interpret that theme. 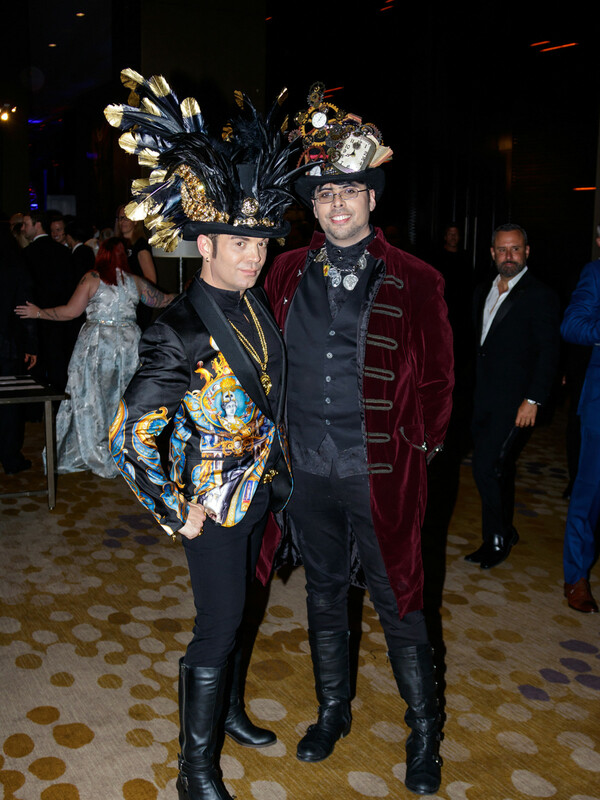 There were colorful wigs, enormous hats, and artistic masks. 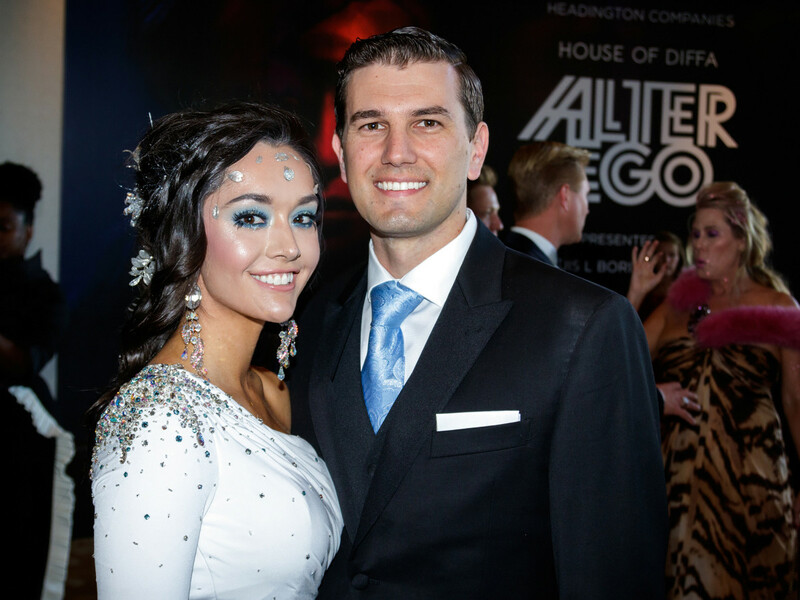 Angie Barrett dressed like an angel, complete with halo and wings. 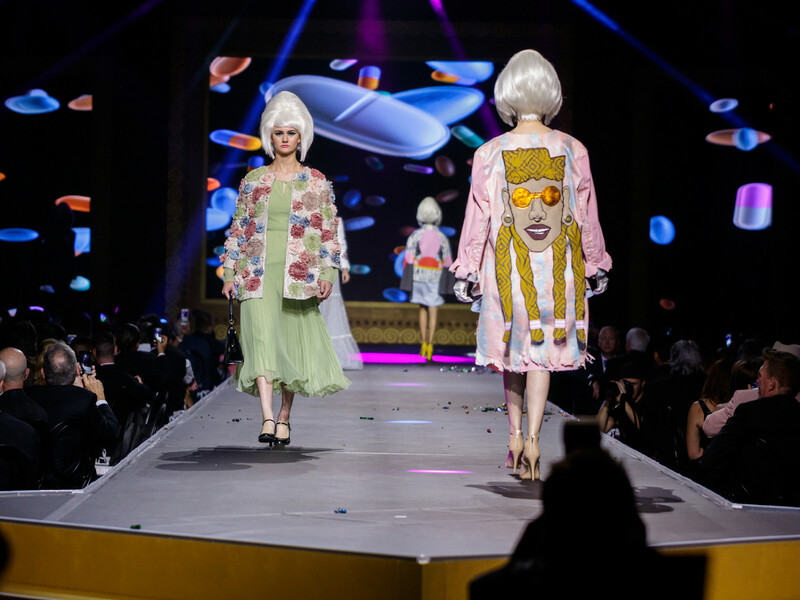 DIFFA Style Council Ambassador Norah Meier sported a floor-length Dalmatian-printed coat à la Cruella Deville. 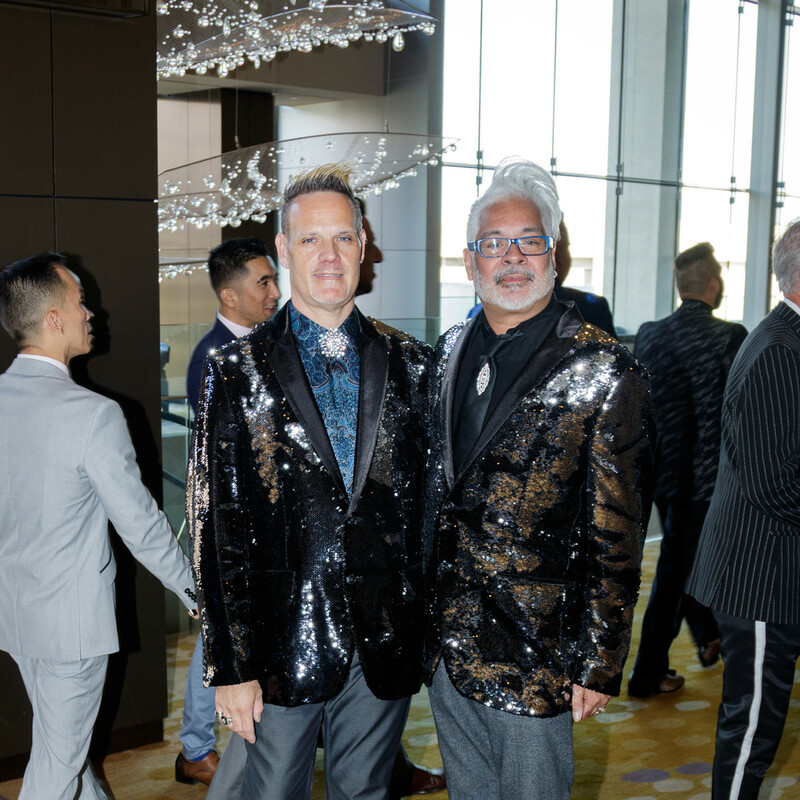 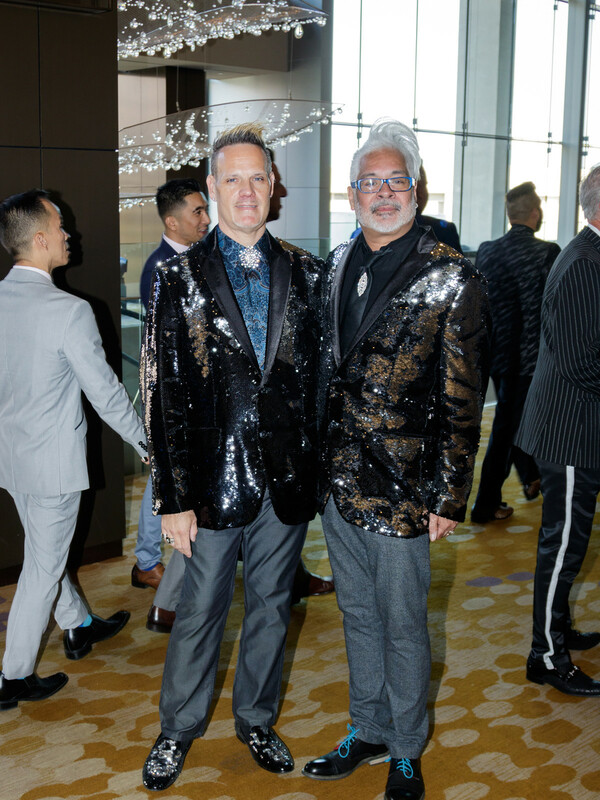 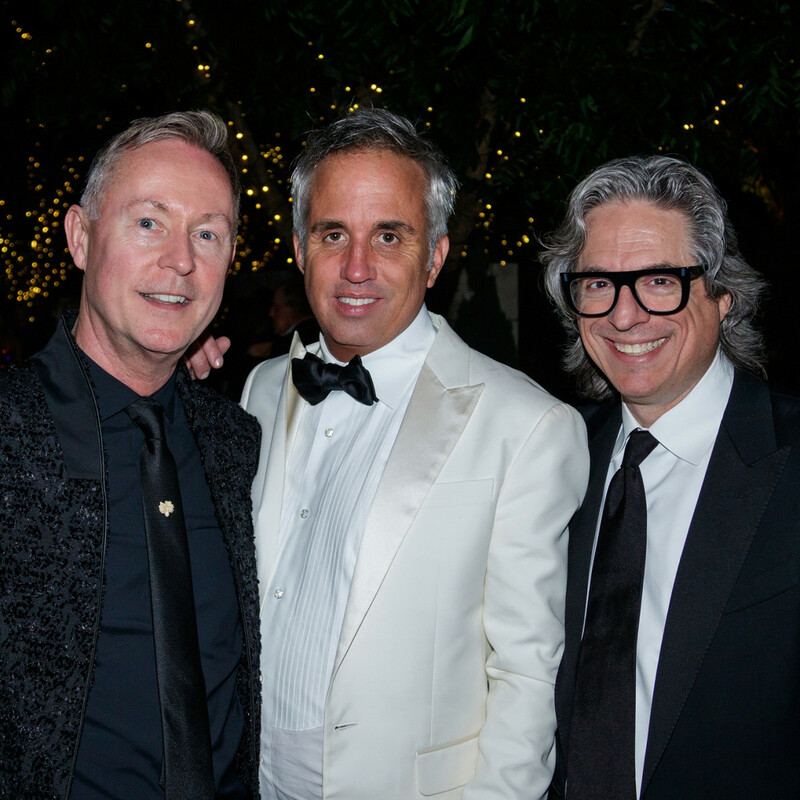 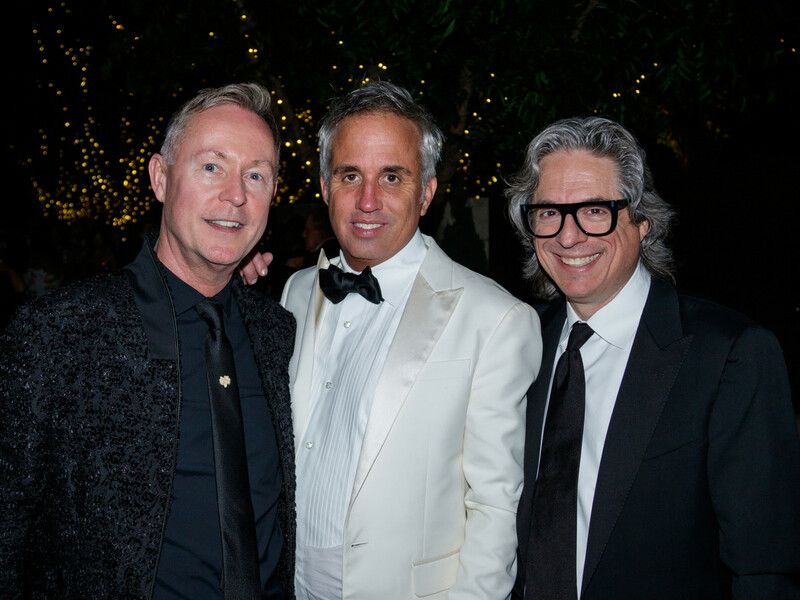 During the cocktail reception, the only thing more fabulous than the attire was the jacket collection — a trademark of this fundraising event. 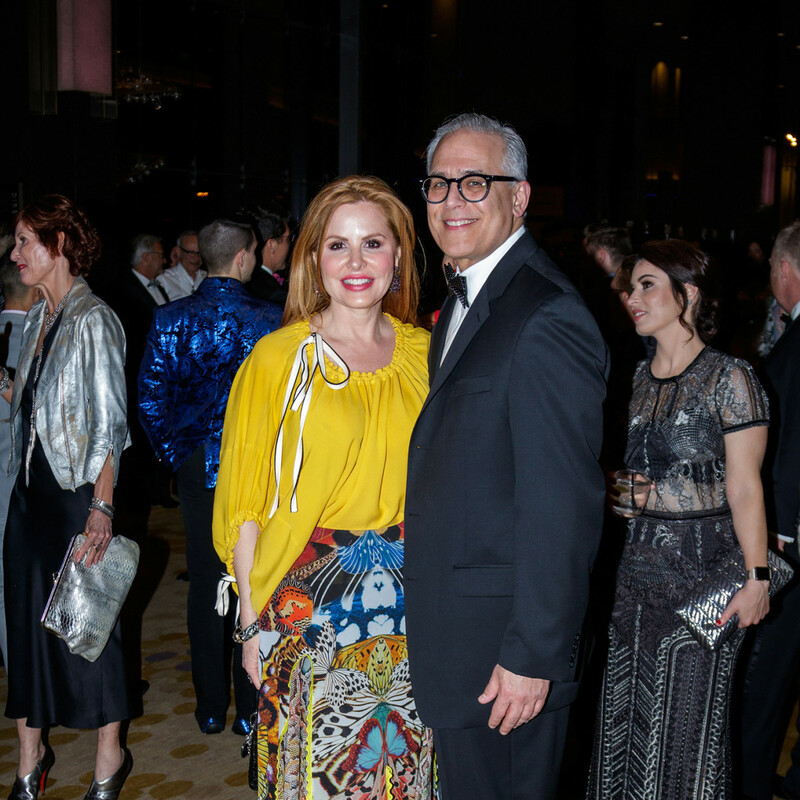 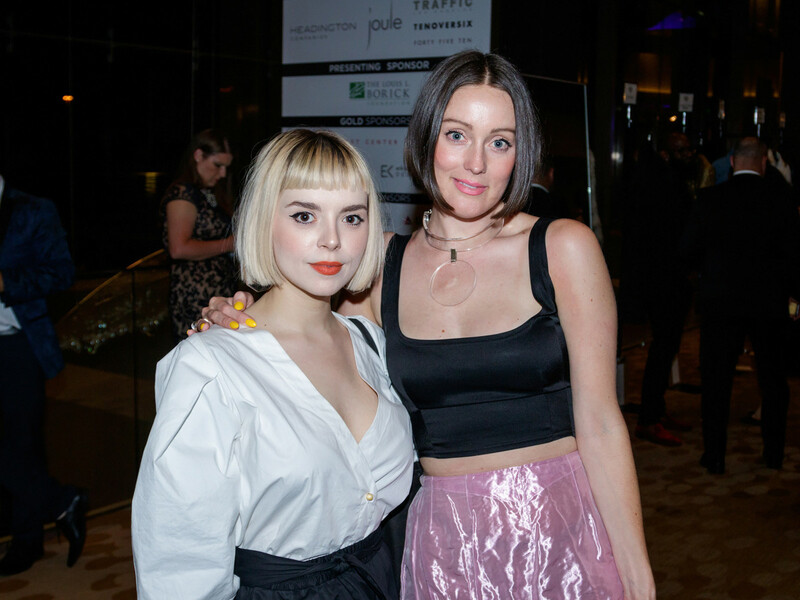 Among this year’s contributions were designs from Roberto Cavalli, Alberta Ferretti, Robert Graham, Rick Owens (via Forty Five Ten), and Versace (via Luxury Garage Sale), as well as local favorites Folksie, Abi Ferrin, and Tragant. 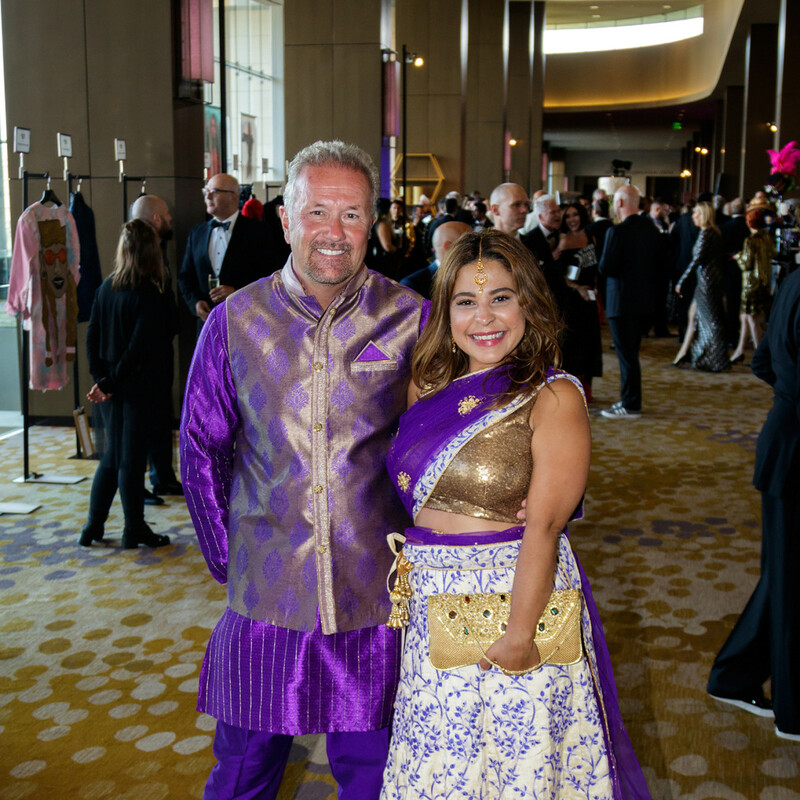 In addition to the designer jackets, restaurant gift certificates, hotel packages, and home décor attracted bids in the silent auction. 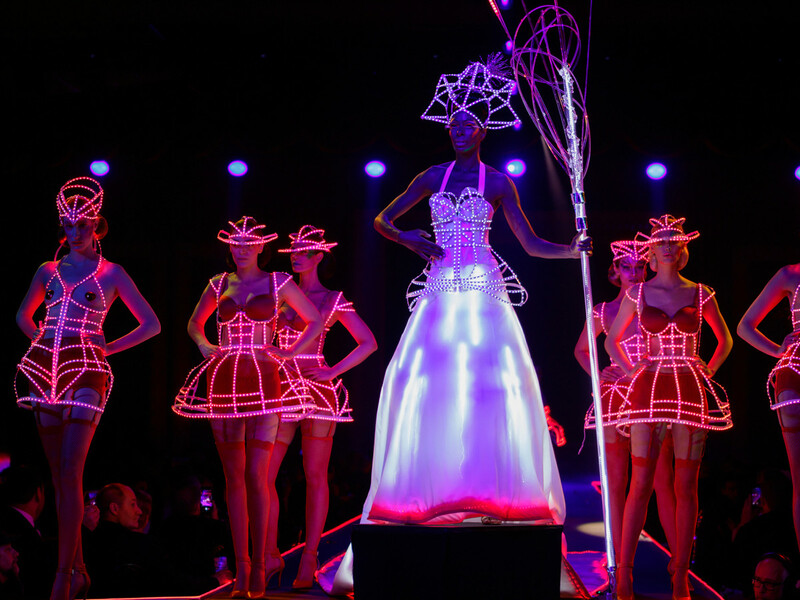 But the best was yet to come: the dinnertime show for which House of DIFFA is known. 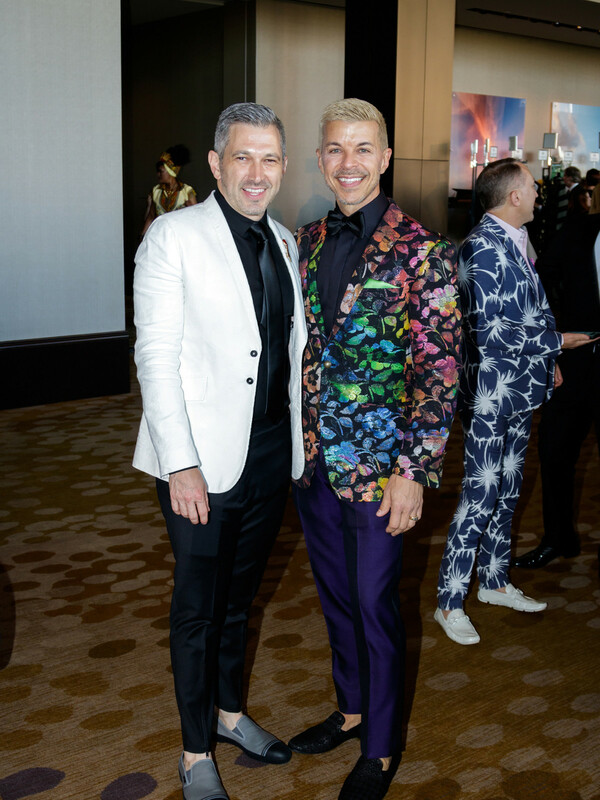 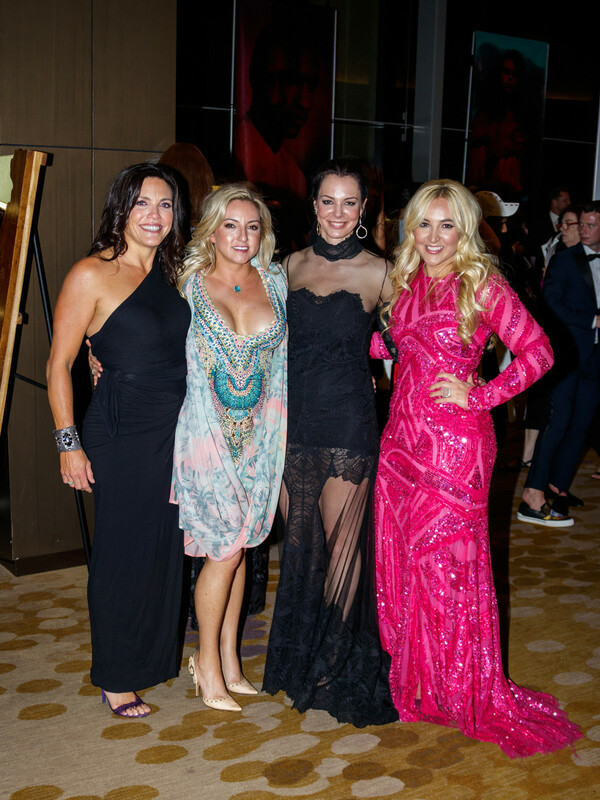 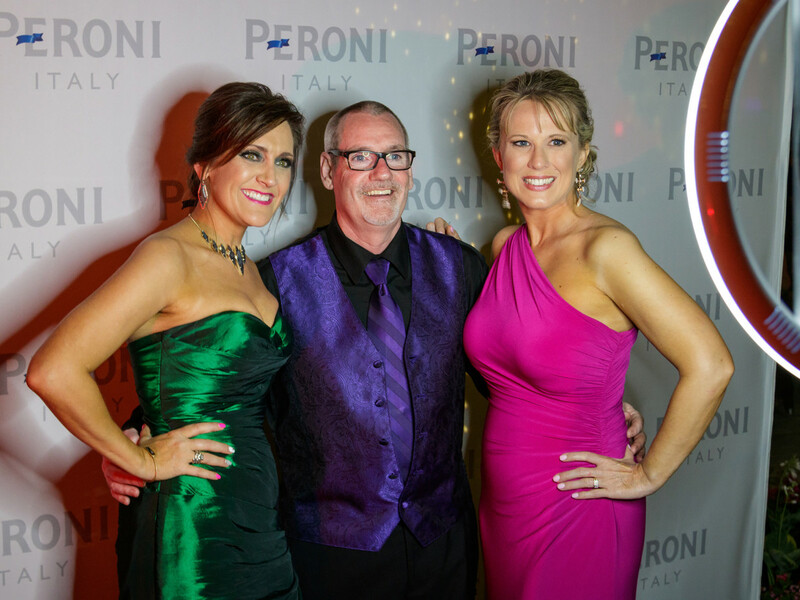 So guests found their tables in the ballroom and settled in for the program, which began with the parade of Style Council Ambassadors, followed by the introduction of the board of trustees and remarks from event co-chairs Lee Borchert and Timothy Garippa and board chair Steve Weir. 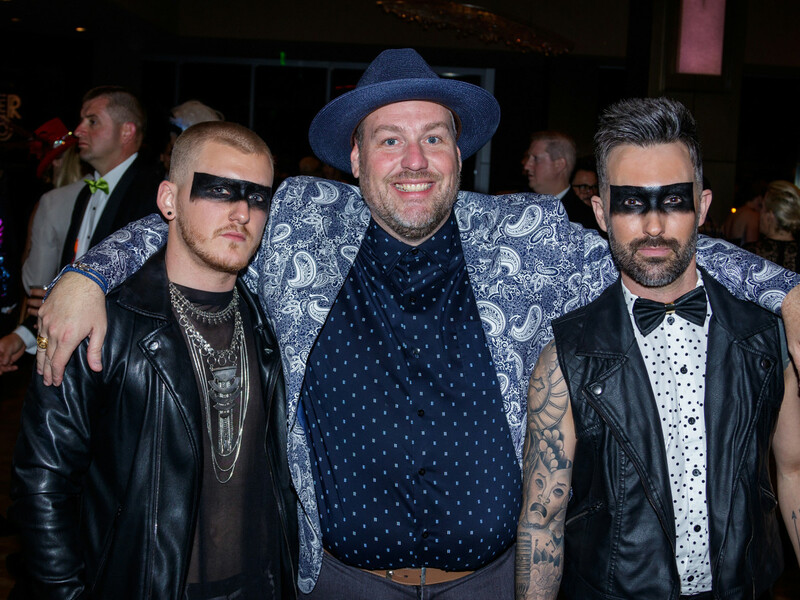 To warm up the crowd for the live auction, America’s Got Talent finalist Brian Justin Crum performed his now-famous rendition of Radiohead’s “Creep.” As for that live auction, the big-ticket item turned out to be a private suite for 18 to see Justin Timberlake, which went for $16,000. 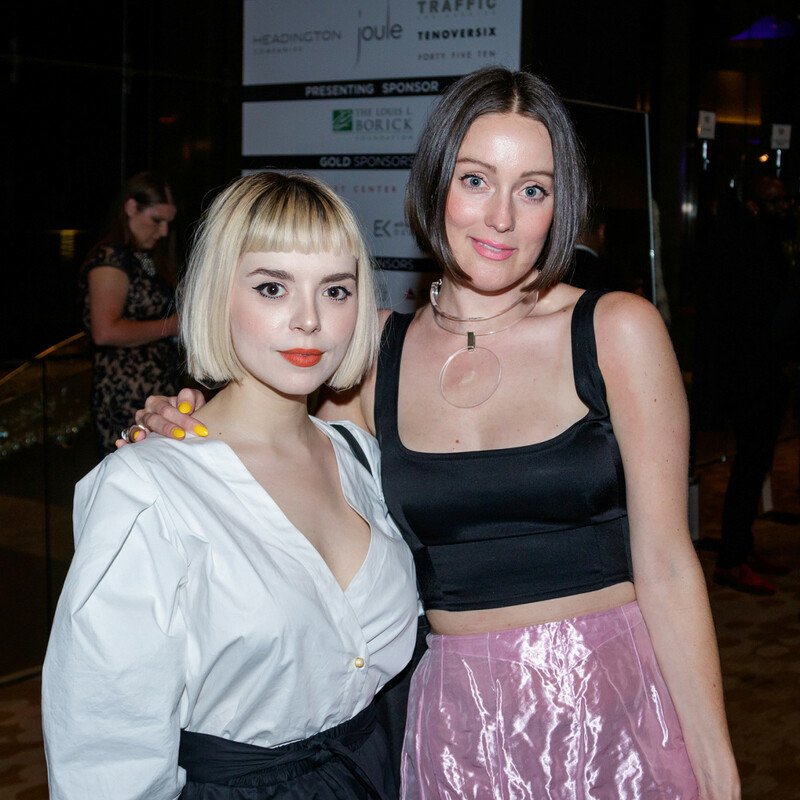 Then it was fashion, fashion, and more fashion, as models strutted down the runway in the collection jackets and looks from Forty Five Ten, Tenoversix, and Traffic LA. 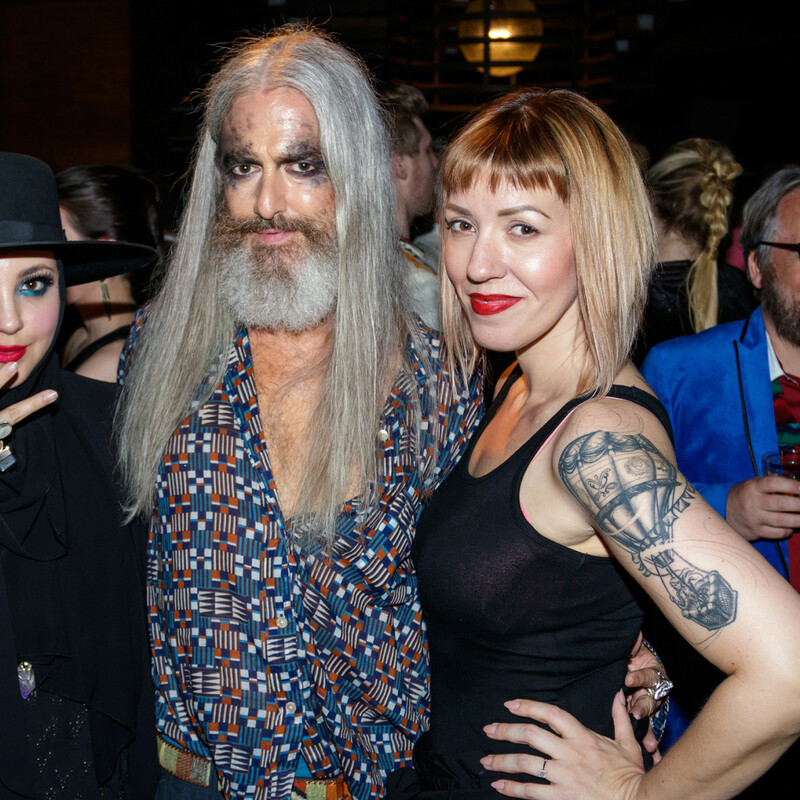 That was just the prelude to Gwendolynne Murphy’s rousing Marilyn Monroe/Marilyn Manson performance apropos of the Alter Ego theme. 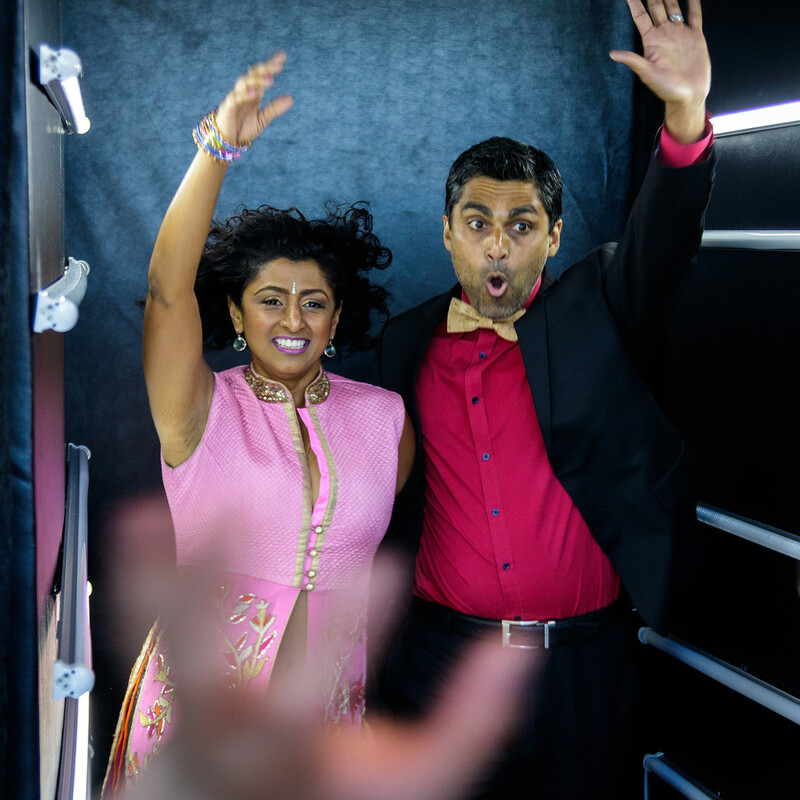 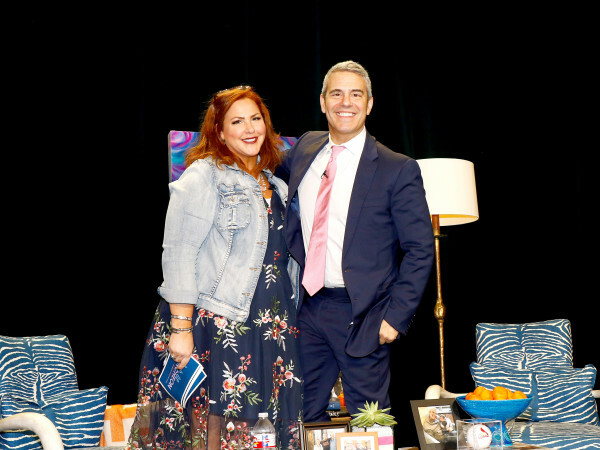 The party didn’t stop when the final volunteer took a bow; it was just time for a venue change. 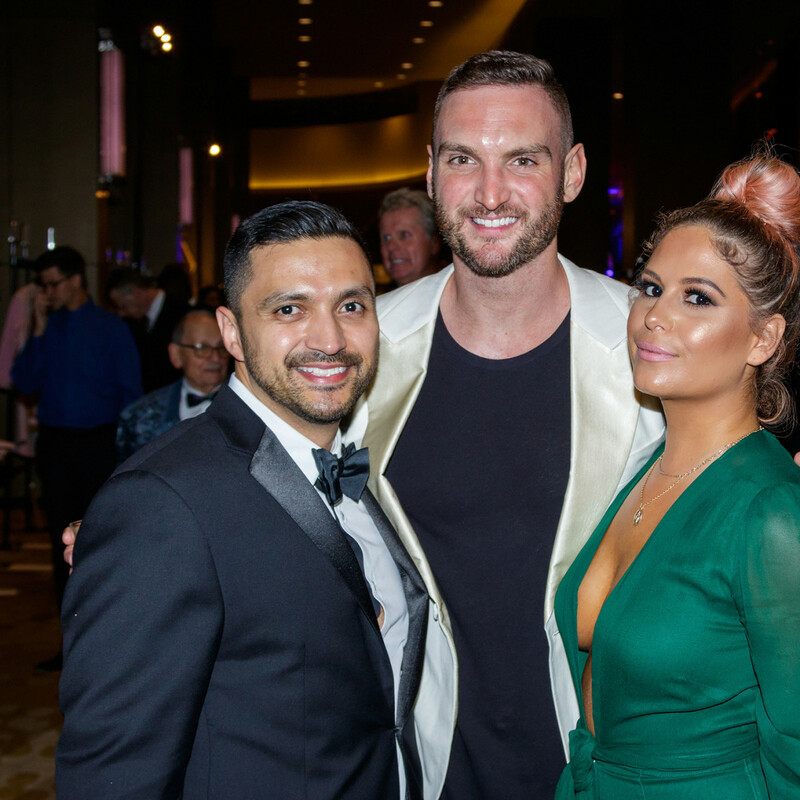 So the crowd — including the models, hair and makeup staff, and the technical team — headed downstairs to Texas Spice, where DJ Blake Ward was spinning the after-party soundtrack. 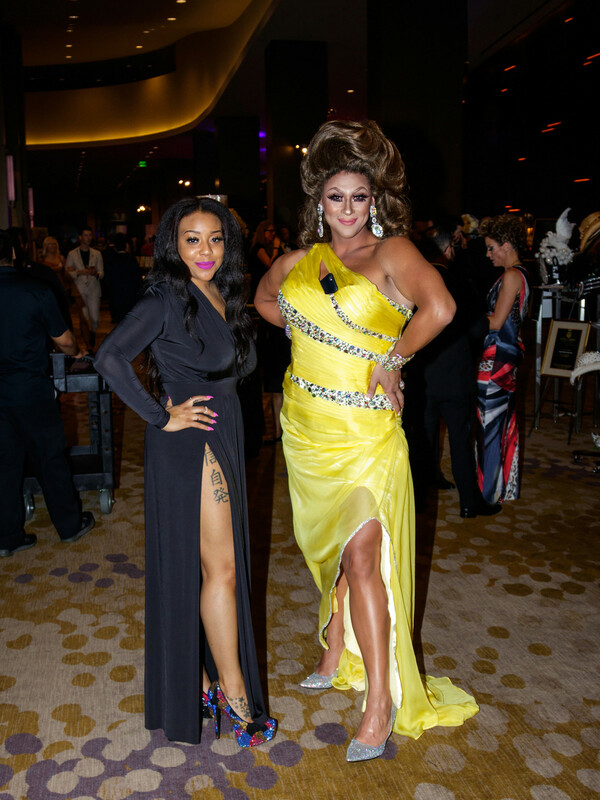 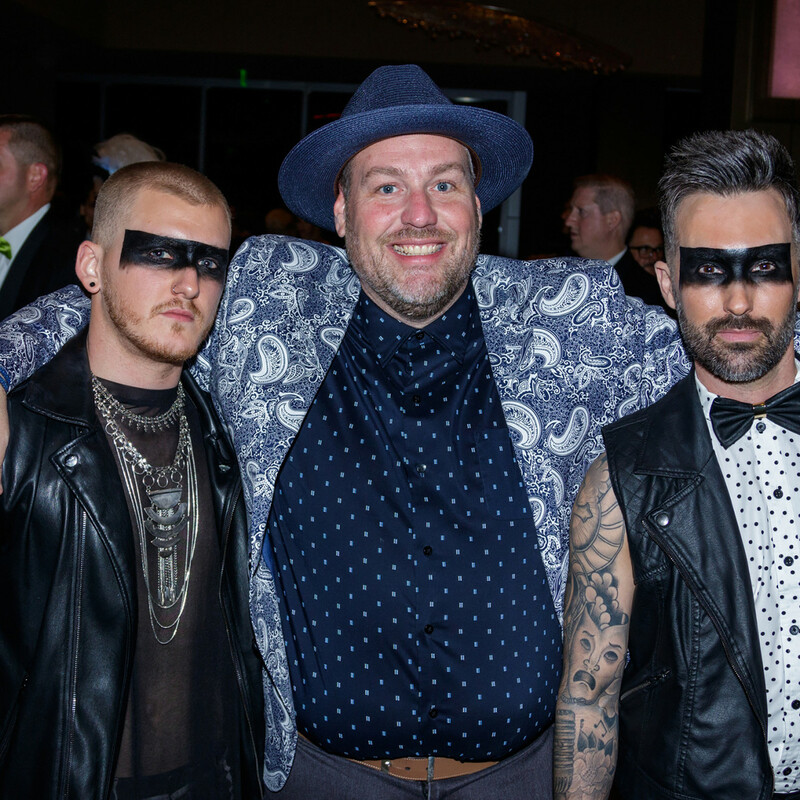 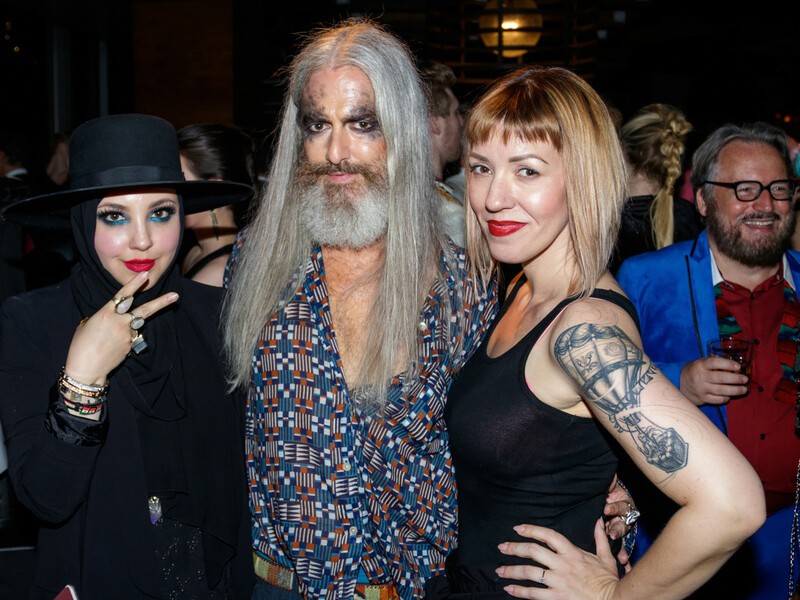 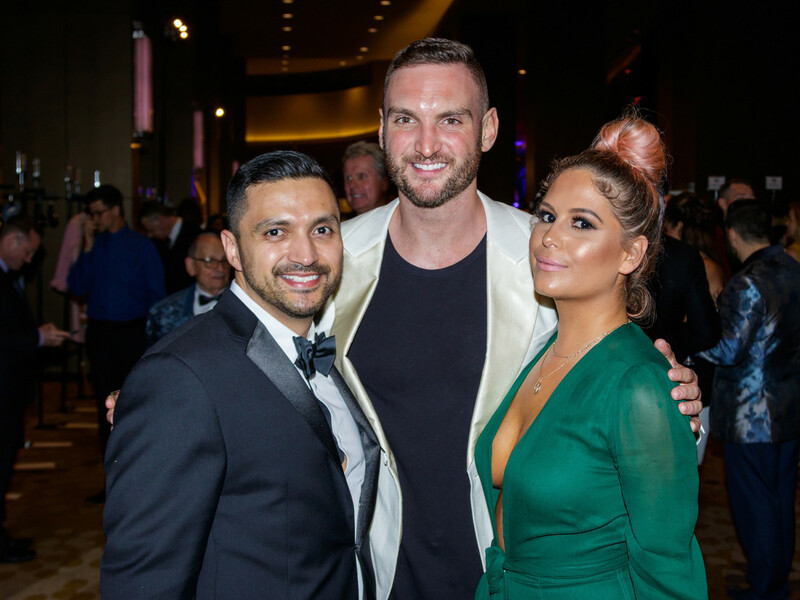 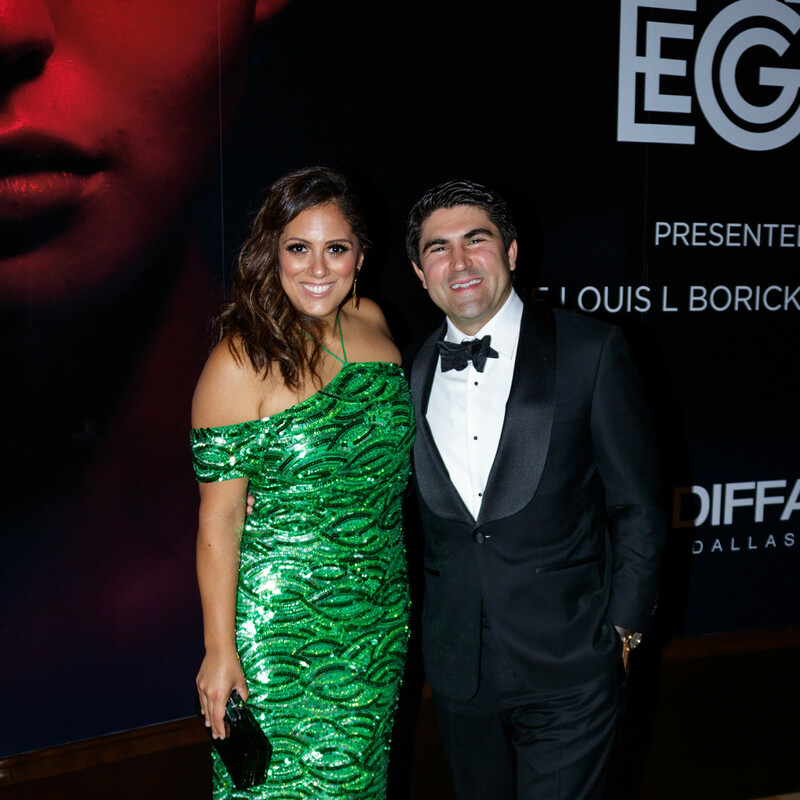 DIFFA, with chapters in Dallas, New York, Chicago, Kansas City, San Francisco, and Seattle, is one of the largest fundraising organizations aiding people living with HIV/AIDS. 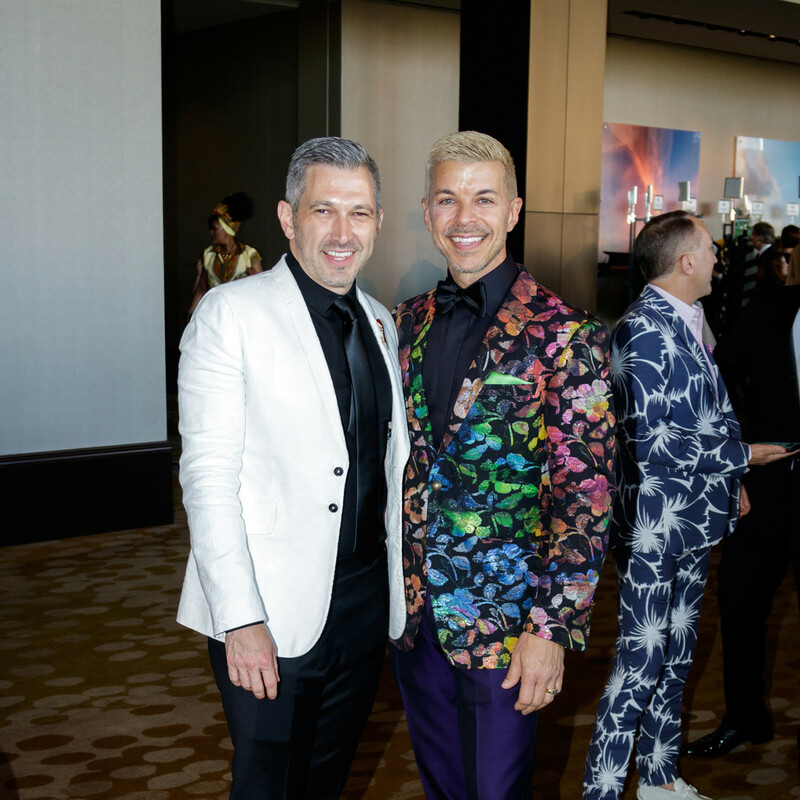 The Dallas chapter has granted more than $7.5 million to 25 front-line HIV/AIDS service organizations in North Texas.